At Uftring Ford in East Peoria, we have over 300 new vehicles in stock. Why would we carry such a large inventory? To provide as many options as possible for our customers, of course! Not only do we have the models that you're looking for, but we have a wide variety of different colors, trim levels, and interior choices. Looking for a car for the family? Our Ford SUV selection is unmatched in the area! Need a new truck to get the job done? Over half of our inventory is F-Series models. You'll love what you can find at Uftring Ford. Over half of our Ford inventory includes F-Series trucks. From F-150s to F-450s, we have the range of power you're looking for to get the job done right. Whether you need a long bed, short bed, extended cab or standard, we have the choices to help you decide. Remember, every month is truck month at Uftring Ford in East Peoria! If you're hauling houses or trailers across town, our Super Duty selection will help you. If you're making the switch from car to truck, you can take a look at our Sport F-150s. The fact is, we provide options for you - whatever you may need. We at Uftring Ford provide you with the knowledge and care you deserve when making such an important purchase. 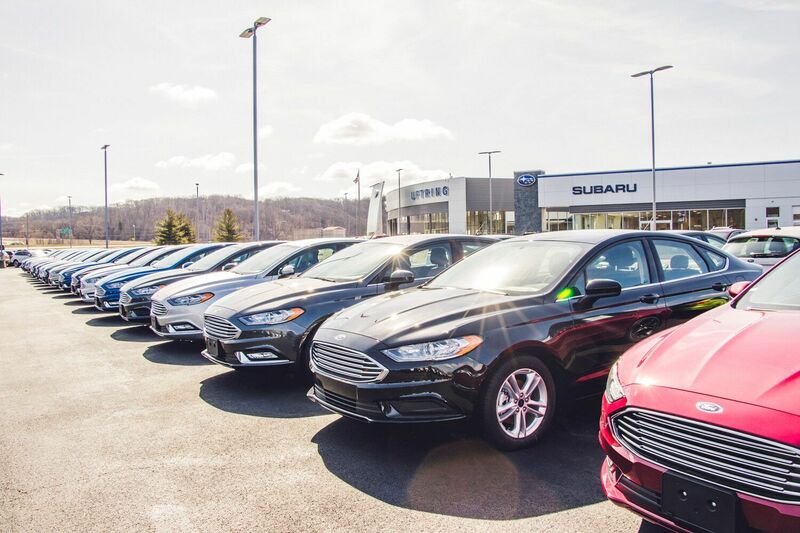 So, to go along with our vast selection of Ford cars and trucks, we have a skilled staff of sales and service representatives. Whether you're in need of an upgrade or a check-up, we are here with a helping hand and a smile, every time. We encourage you to ask any questions about our selection or about your vehicle. We will always be transparent, respectful and accommodating when you visit us. Not only that, but once (and even before) you shop with Uftring, you're considered a friend. So, stop into Uftring Ford in East Peoria today! Click here to view our inventory, or give us a call at (309) 694-0700.